The neighbor's farm below our house, so pretty this morning in the morning smoky light. The backlit Scotch thistle was lovely to paint, but the shoelaces to my hiking boots now function more like Velcro. 10x8", Oil on Linen. If this is the area around your house, then I envy you, Sharon :) Although I don't exactly live in an urban jungle, I wish the scenery around my place was this picturesque. 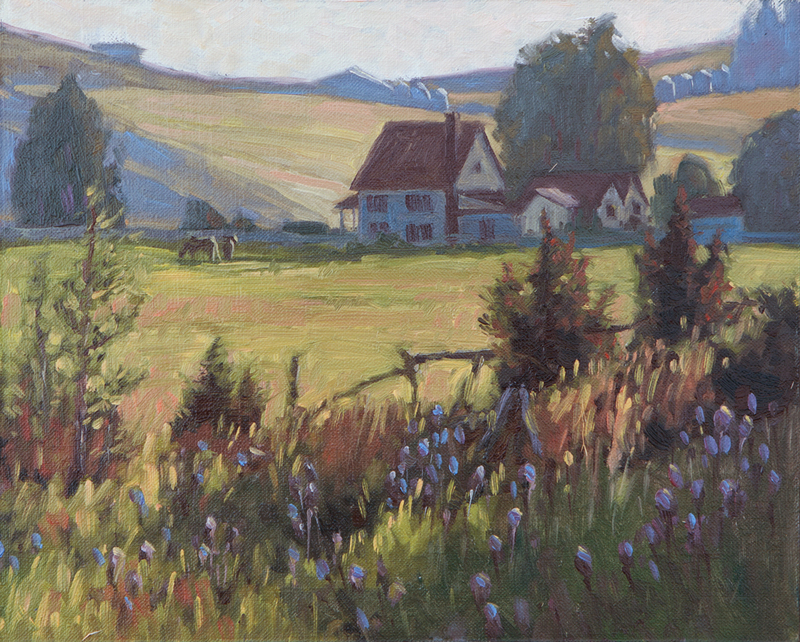 Then I'd probably be more motivated to do more plein air landscape painting than I already do.